Branka Agic, MD, PhD, is the Manager of Health Equity at the Centre for Addiction and Mental Health (CAMH) and an Assistant Professor in the Department of Clinical Public Health at the University of Toronto Dalla Lana School of Public Health. Branka holds a PhD in Health and Behavioral Sciences and a MHSc in Health Promotion with the Collaborative Program in Addiction Studies (CoPAS) from the University of Toronto, along with a Medical Degree from the University of Sarajevo, Bosnia and Herzegovina. Branka has extensive experience in counselling, research and service development with immigrants and refugees. Her primary research interest is in the area of mental health and substance use among immigrants, refugees, ethno-cultural and racialized groups. Branka is currently the Principal Investigator (PI) on the Citizenship and Immigration Canada-funded Refugee Mental Health Project and a Co-PI on the Mental Health Commission of Canada-funded The Case for Diversity project. Branka has worked on key initiatives focusing on immigrant and refugee populations including the Health Promotion Guidelines for Immigrants and Refugees, the Health Equity Impact Assessment (HEAI) tool and its Immigrant Populations Supplement, and Language Services Toronto. She currently serves on the Board of Directors of the Canadian Centre for Victims of Torture (CCVT) and is a member of the UNHCR Regional Beyond Detention Strategy Working Group. Mahmoud Allouch is the Syria Project Coordinator at the Arab Community Centre of Toronto (ACCT). Mahmoud works in project management and currently manages the ACCT’s program to resettle Syrian newcomer refugees in the Greater Toronto Area. In this role he works closely with diverse community groups to provide education, guidance, and support around resettling Syrian newcomer families. Uppala Chandrasekera has over 15 years of work experience in the health sector, ranging from frontline work assisting individuals and families with mental health and addictions issues, to supporting mental health programming province-wide, and implementing the national strategy to address mental health across Canada. Currently, Uppala is the Director of Public Policy at CMHA Ontario, where she provides leadership for public policy work in five programmatic areas, including: Health systems development; Housing, employment and social determinants of health; Health promotion across the lifespan; Criminal justice; Equity and social inclusion. She provides strategic policy advice to the Provincial Human Services and Justice Coordinating Committee and is the Co-Chair of the Justice, Mental Health & Addictions Expert Panel at the Centre for Addiction and Mental Health. Uppala also serves as the Vice Chair of the Mental Health Commission of Canada, a national organization focused on improving the mental health system and changing the attitudes and behaviours of Canadians around mental health issues. Deqa Farah is a Mental Health Promoter with Fred Victor. Deqa has extensive work and volunteer background in access, equity, social justice issues, antiracism and cultural competence and organizational change. She is a community organizer, researcher, trainer, and facilitator. Deqa has been working with refugees and immigrants for over 15 years in the areas of counselling, crisis intervention, organisation and facilitation of support groups as well as program co-ordination, research, planning and evaluation, board development program and leadership building. She also holds a Bachelor of Arts Honours degree from the University of Toronto in Environmental Studies and Sociology. Jane is a Peer Facilitator with the Opening Doors Program at Canadian Mental Health Association Toronto Branch. She has extensive experience working with youth and has been a facilitator for the past two years. She also holds a Bachelor of Science degree in Biology. Maya is a Peer Facilitator with the Opening Doors Program at the Canadian Mental Health Association Toronto Branch. She has extensive experience working in the areas of equity, diversity and inclusion in Ontario. She completed a degree in Public Health, obtaining a Bachelor of Applied Science degree. Dr. Priyadarshani Raju is a child and adolescent psychiatrist who works with marginalized populations in hospital and community settings across downtown Toronto. At the Hincks-Dellcrest Centre, in addition to providing psychotherapy, she and Dr. Stein lead the Migration Consultation Team, a teaching unit with expertise in issues of resettlement and acculturation. She provides telepsychiatry consultation to rural Ontario youth through the Hospital for Sick Children, and works with a team serving Aboriginal children and adults through Anishnawbe Health Toronto. As a Lecturer at the University of Toronto, she contributes to multiple academic initiatives related to culture, power and other equity issues in psychiatry. Dr. Debra Stein is a child and adolescent psychiatrist at the Hincks-Dellcrest Centre, where she and Dr. Raju lead the Migration Consultation Team, a teaching unit with expertise in issues of resettlement and acculturation. Dr. Stein has over 15 years of experience working alongside settlement counsellors at the Canadian Centre for Victims of Torture, providing consultation and treatment to clients of all ages, with an emphasis on children, youth and families. She has lectured on various aspects of refugee mental health, including skills-based workshops for front-line workers, psychological trauma and parent-child attachment, and the special needs of refugee youth. Sheela Subramanian is a Policy Analyst at the Canadian Mental Health Association, Ontario (CMHA Ontario). In this role, she monitors and responds to key public policy issues in the areas of health equity, human rights, and disability accommodation and accessibility as they relate to mental health. 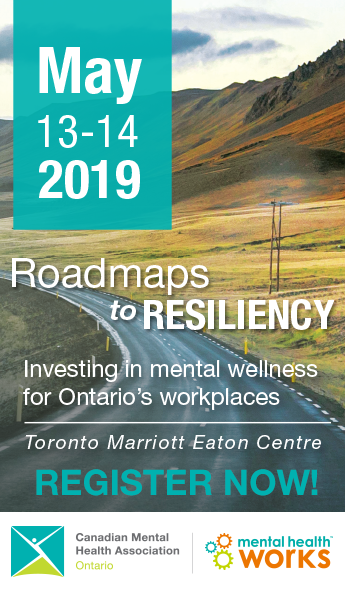 As part of this work, Sheela wrote Advancing Equity in Ontario to develop a shared language and common understanding of how marginalization, equity and mental health interact in Ontario. Sheela’s previous work experience includes public policy, research and front-line community engagement on a range of health, social policy and community issues. Sujatha is a Peer Facilitator with the Opening Doors Program at the Canadian Mental Health Association Toronto Branch. She holds a Bachelor of Arts degree and a diploma in French. Previously, she was an instructor in Sri Lanka and worked as a press secretary for an embassy. She now also holds a Community Social Services Worker diploma.